In the future, will our autonomous vehicles simply sit within our homes like a part of the living space, eliminating the need for garages and parking spots? Probably not. At least, not for most of us. 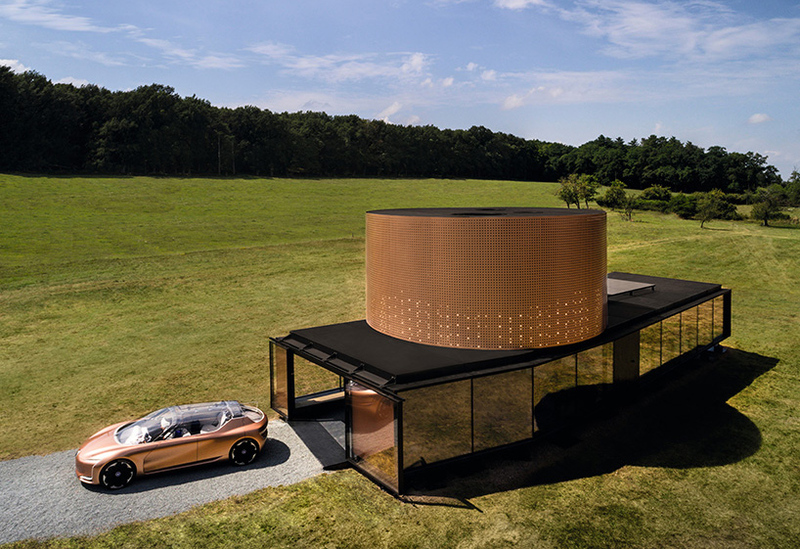 Concepts like the new SYMBIOZ car and house combo are clearly made for the richest among us, and it’s not likely that most existing housing will be retrofitted to accommodate our driverless cars, especially since many people will likely use car services instead of owning their own vehicles. 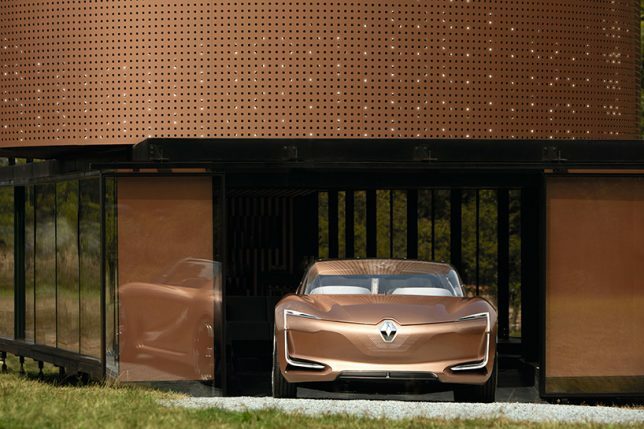 But Renault’s concept shows off one vision of how some of us might integrate autonomous cars into our lives in the decades to come. 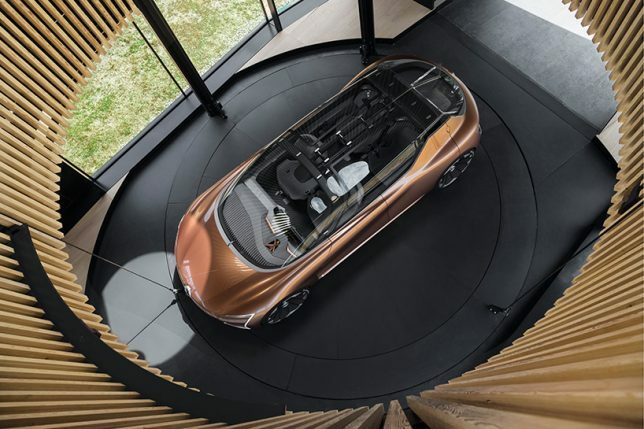 Presented at the 2017 Frankfurt Motor Show, the SYMBIOZ concept envisions the emissions-free, all-electric car as a room within a room, entering the home to offer additional seating and make the transition between home and travel more comfortable. It’s easy to move objects and children back and forth between the home and the car, and once the car is brought inside, it starts to charge from the home’s energy systems automatically. The car can even act as an energy generator in case the power goes out. Clean energy means the car won’t bring in nasty exhaust fumes. The car-home combo shows it parking on a special circular pad that can be raised up to the second level on demand, freeing up space below and keeping the vehicle secure. Inside the vehicle, you’ll find a retractible dashboard and front seats that pivot to the back to enable easy conversation between passengers. What do you think – would you take advantage of technology like this, if it were accessible to you?